Fall is here although you wouldn't know it since we've hit the mid 80s this week. Bah. I want crisp autumn air and sweaters! 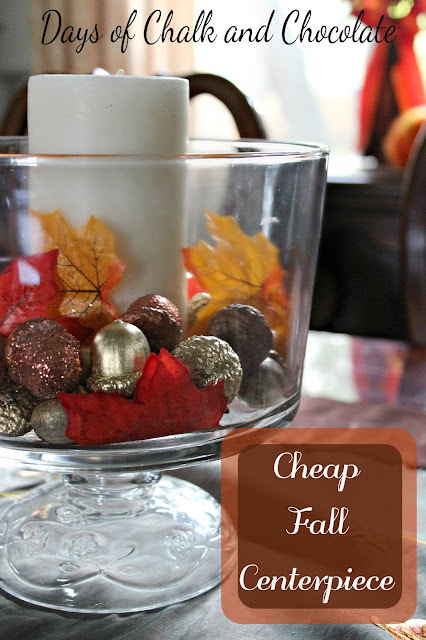 Well, if it can't be fall outside I can make it fall inside by putting together a super cheap and easy autumn centerpiece! 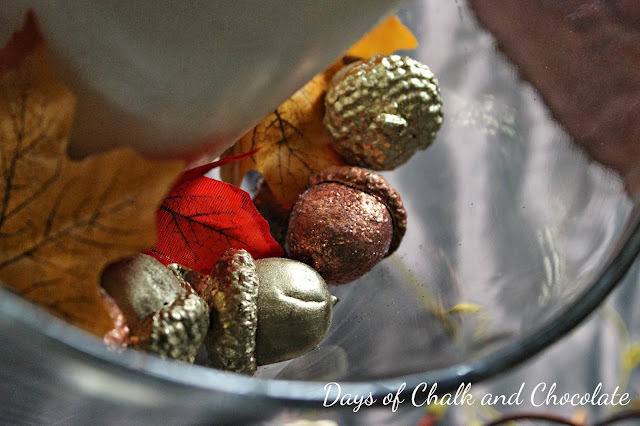 The girls and I collected acorns from our neighborhood and I gave them a quick coat of gold and copper colored spray paint. To add some glitz, I used some copper glitter with Elmer's glue on some. 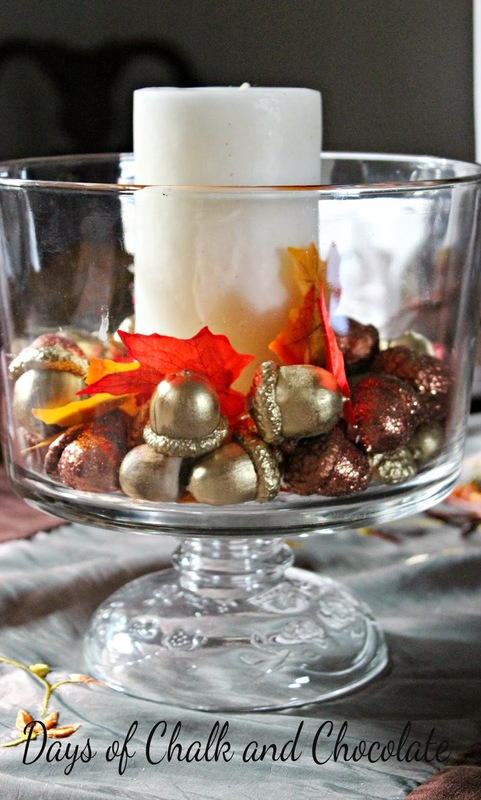 Then I added a large candle I already had into a trifle bowl I already had (but you can find these easily enough at thrift stores or garage sales). I threw in a few fake leaves from Dollar Tree and done! I did pay for the spray paint but I'm using it on some other projects so that's fine with me. The copper one was actually one I used before I was married! WHAT? 10 years! And it worked!! 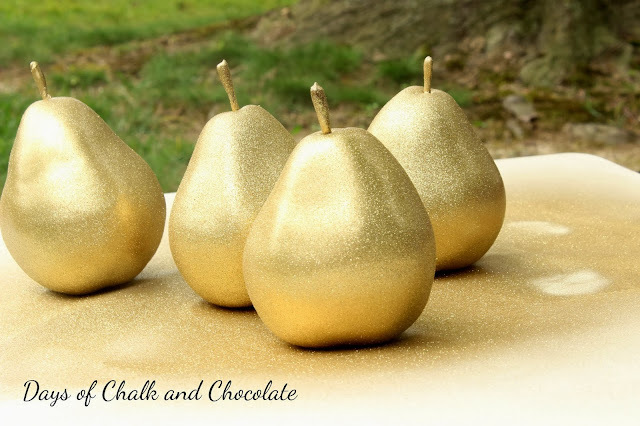 So while I had the gold spray paint out I glammed up some fake pears too. Seriously, what did people do before spray paint? Had green pears, I guess. So sad. I haven't had a ton of time this week to do major autumn crafting. Twice a year our schools hold a giant used kids toys and clothing sale. If you are a seller you get first dibs on buying so this is the second year I've participated. All week my living room has looked like this. 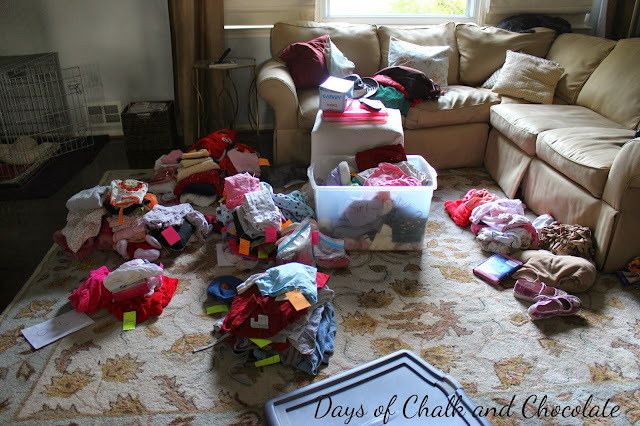 The good thing is that I am slowly getting rid of baby and toddler stuff. The sad thing is I am slowly getting rid of baby and toddler stuff. Sniff sniff. What have you been up to this week? Any fun weekend plans? We are going back to our old stomping grounds for a friend's 40th birthday party. I find it completely irritating that I am going to 40th birthday parties since in my head we are all really just 23 or so. 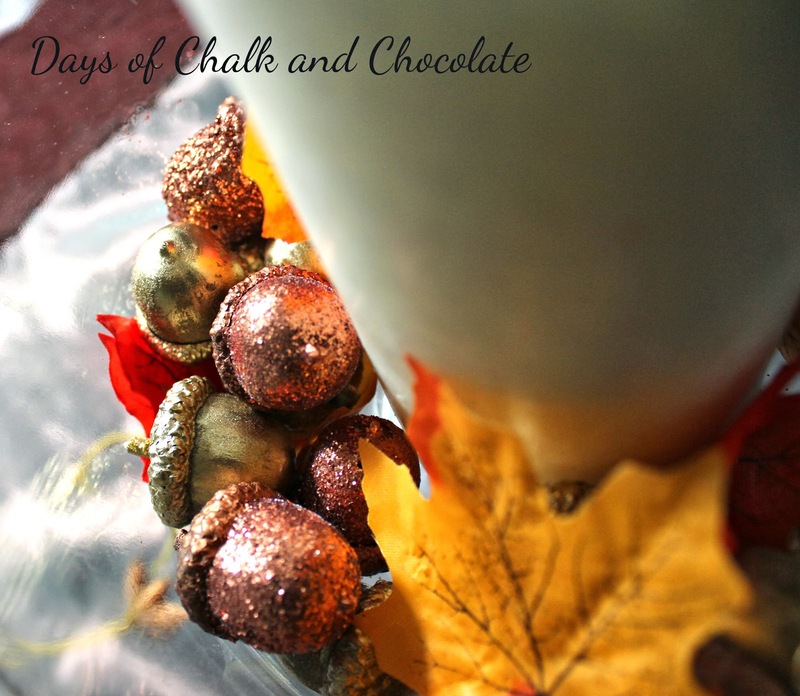 Come back and visit this week for a cool giveaway I'm so excited about! This is one I wish I could enter myself! I worked on painting chairs I bought at an auction and painting kitchen cupboards. Sometime they will be done and I'll get to do a reveal. 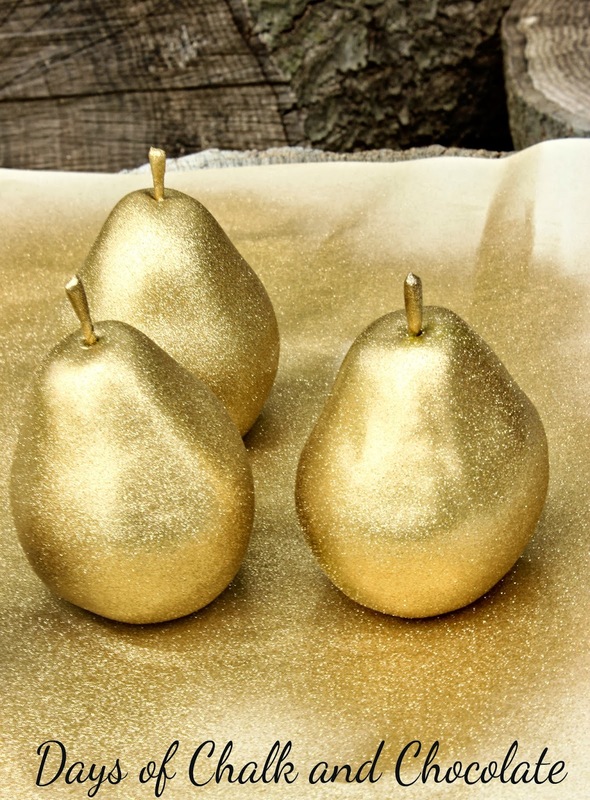 Love, love, love that centerpiece, and the pears, too. You have such great ideas! 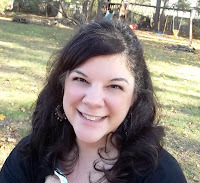 Win a Shabby Apple Dress! Win A Pashmina Shawl from NIMLI!